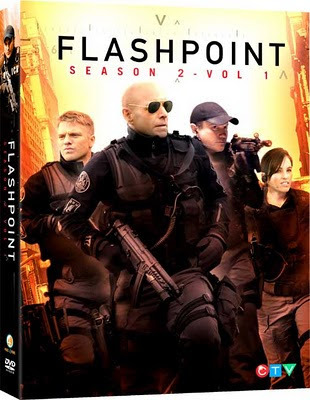 Phase 4 Films will release the award-winning, Toronto-lensed cop TV series "Flashpoint" Season 2, Volume 1 on DVD March 23, 2010. 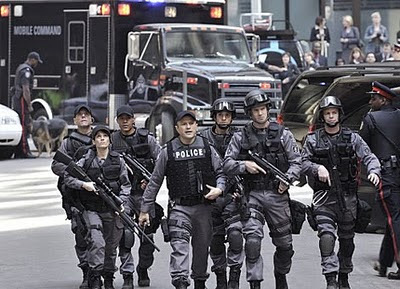 "...'The Strategic Response Unit' is a team of cops like no other - they're the elite, the blueblood of the force. High risk is their business, and life-and-death stakes are their world. The SRU team is also unique; they rescue hostages, bust gangs, defuse bombs, climb buildings, see through walls and talk down suicidal teens. It takes years on the street, intense physical conditioning and elite marksmanship to qualify for the SRU. They have to prove that they're at the top of their game on a daily basis - because if they're not, there are hundreds of others willing to step in and take their place. The team uses state-of-the-art equipment - sniper rifles, snake-cameras, robots, flash-bangs, night-vision and Tasers. But beyond all of the cool gadgetry, the most important weapons in their arsenal are human intuition, a gift for words and their ability to read emotion. Each team member is uniquely trained in negotiating, profiling and getting inside a subject's head. They stand out because of the rare balance between lethal hardware and people skills: pure muscle and pure intuition. 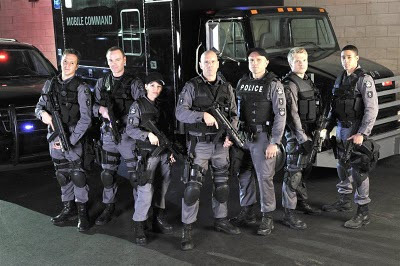 They're the envy of law enforcement everywhere.The stakes are always high in Flashpoint -- only here, the lives of the men and women on the team are also always on the line. That's the nature of the job. The SRU may be heroes, but they are also human. At the end of the day, they each go home haunted by what they've seen, by what they've had to do - pursued by new demons which they cram into already bulging closets. They lock down emotion and they second-guess decisions made in the heat of the moment. These individuals are constant witnesses to the extremes of human distress. Not everyone is cut out for this. "...If you're a cop, you're three times more likely to kill yourself than to be killed by a bad guy..."